The Administration and Probate Act 1958 allows an eligible person to apply for additional provision to be made for them from the estate of the deceased where the deceased’s Will does not adequately provide for them. The Act uses a list-based approach, listing those who are eligible to apply. Members of the deceased’s household. These applications are referred to as TFM (testator’s family maintenance) applications. The applicant is applying to the Court for a family provision order. 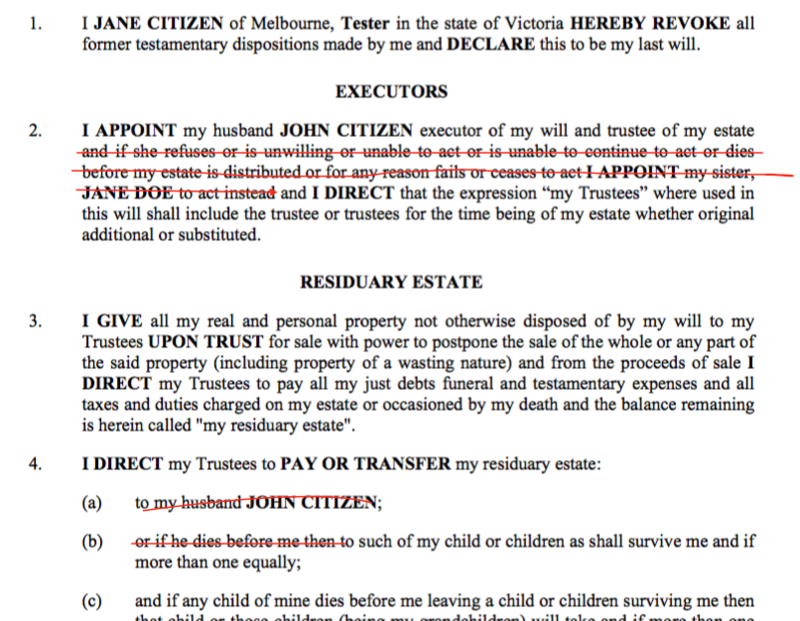 Prior to 1 January 2015, the class of eligible applicants was broader, being any person for whom the deceased had responsibility to make provision. Now persons including siblings, carers, nephews, nieces and cousins can only bring a claim if they are eligible under another class, such as members of the household or assumed children. Some of these classes are subject to a dependency test. Grandchildren and members of the deceased’s household must have been wholly or partly dependent on the deceased for proper maintenance and support. that the distribution of the deceased’s estate fails to make adequate provision for the proper maintenance and support of the eligible person. As to adult children, the degree to which they are not capable, by reasonable means, of providing adequately for their own proper maintenance and support must be taken into account. The amount of a family provision order must not provide for an amount greater than is necessary for the applicant’s proper maintenance and support. Where an applicant must prove dependency on the deceased (eg grandchildren) the amount ordered must be proportionate to the applicant’s degree of dependency on the deceased for the person’s proper maintenance and support at the time of the deceased’s death. TFM applications must be made within six months after the date of the grant of probate, although the Court may extend this period if it considers it appropriate in the circumstances.